Manufacturer that supports drivers in over 30 countries and provides the world's auto makers with audio and driver assistance products. An Australian company focused on innovation and quality, Fiberdyne designs mObridge interface devices to help people enjoy a better experience with the digital world. 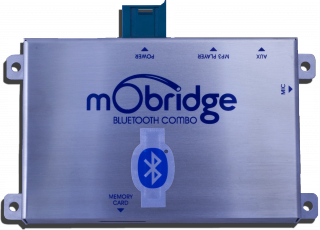 We started in 2004 with the mObridge Audio, which provided the world’s first aftermarket iPod integration device for Porsche vehicles. Since those early days, we have expanded our expertise in product design beyond iPod integration, with a broad portfolio of interface devices that allow you and your music or Bluetooth device to integrate within the vehicle. Fiberdyne System's R&D facilities in Australia, Europe and North America ensure that all products address the real world requirements of drivers in each market. The company is committed to developing products that are safe, comfortable and user-friendly for the automotive environment.